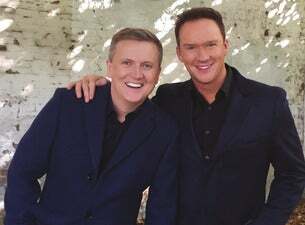 Two of the world’s greatest classical voices, Aled Jones and Russell Watson, have joined together to release their debut album In Harmony, out on 9 November 2018. In celebration, the pair will head out on their first joint UK tour in September and October 2019. Jones and Russell moved in the same circles for nearly 20 years. In this new collaborative collection fans will discover a wealth of much loved arias, hymns and popular songs – ranging from stunning arrangements of Ave Maria to more modern classics such as You Raise Me Up.